I’ve been re imagining the characters of The Last Unicorn into perler art the last few weeks and this came to mind. I’ve seen The Last Unicorn in My Little Pony style to some extent here and there but wanted to do my own take on it. I’ve submitted it to a few sites and for now if you’d like to purchase the design on a shirt you may go through my TeePublic site, or other items in my Redbubble. Join me at Kumoricon this weekend! I’ll be in Vancouver Washington Friday August 29th through Monday September 1st in the artist alley at Kumoricon. I have some new goodies that I haven’t been able to upload yet but here’s a WIP shot! 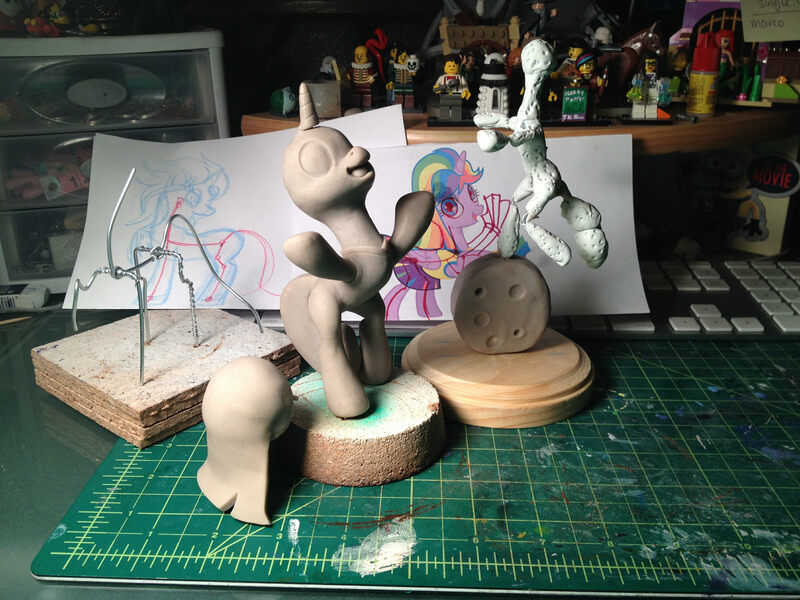 “Ponies are Cool” design shared! 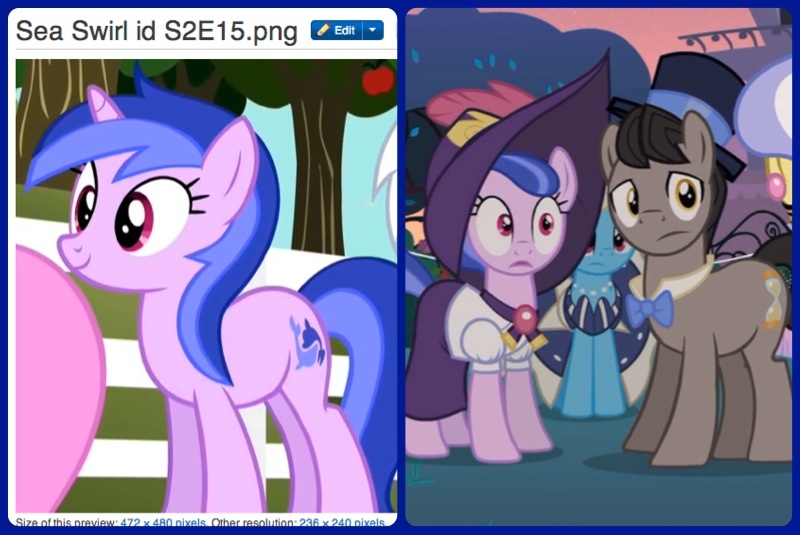 After seeing the positive feedback on my “Bad Timberwolf” design I thought I would do a little research and see if there had been any kind of 11th doctor pony in the background of the show and if so, Who he was traveling with. I love the Rose storyline in Doctor Who, so when I saw Rose Luck and Doctor Hooves kicking around I KNEW it was up to me to create something for them. 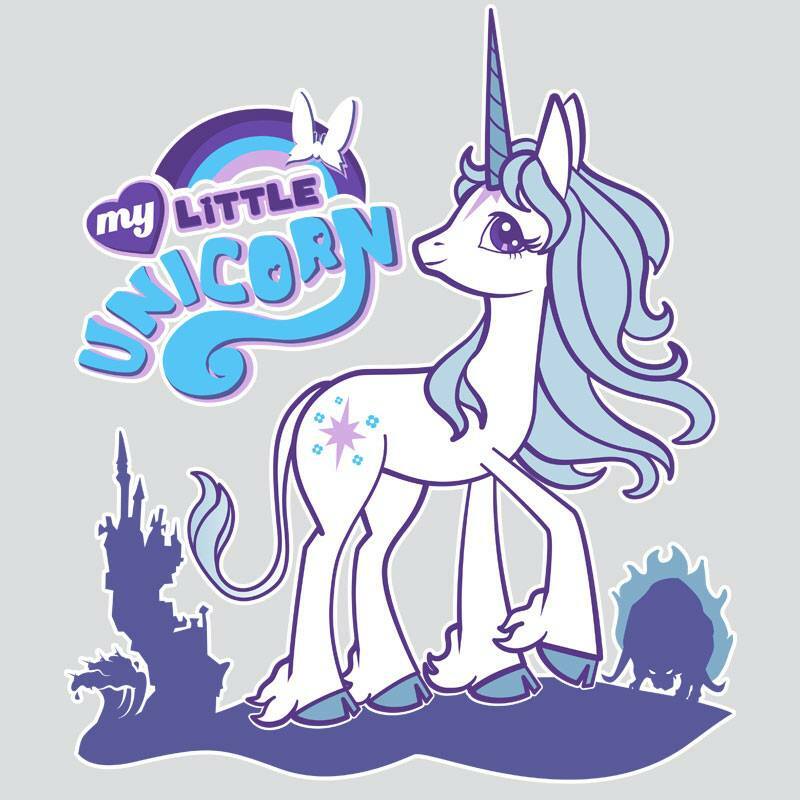 I was able to locate what the MLP Wiki calls “Raggedy Doctor” Which also points to a shirt at the site We Love Fine, that had three earth ponies labeled IX, X & XI, which was the pony in this design. His companion in the screen shot here…. 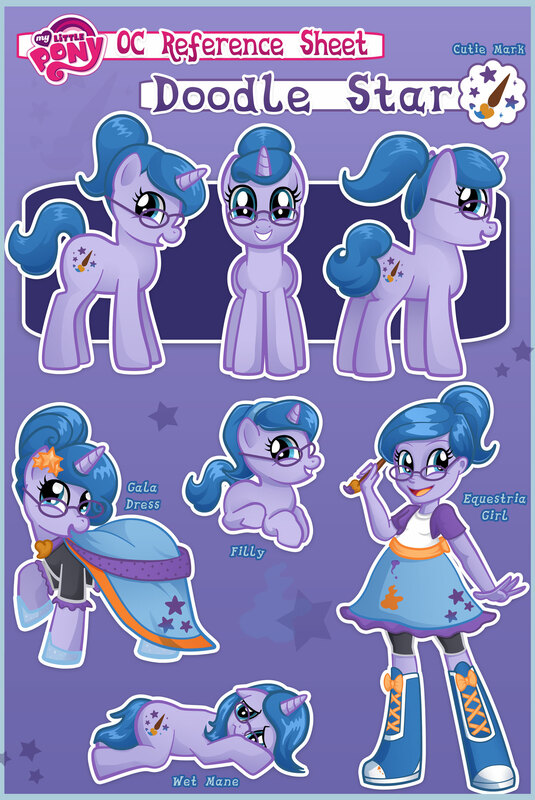 After some more Twili-style research I found her name was Sea Swirl. It seemed too perfect. A sea, afterall, is just a bigger Pond right? Pond referring to The Doctor’s companion Amy Pond. I wanted to include things I thought were important about Amy, her time as a companion and Rory, the last Centurion. I found it interesting that even though there were some scary monsters lurking in corners the 11th always seemed to have a smile on his face. Since I included “Mad Pony with a box” in Gallifreyan in my first design I wanted to use the language again but felt that “Bowties are cool” felt more fitting this time around. In hindsight I think I should have used “Allon-sy” or another 10-ism in my first design but I digress! I finished the piece this past Thursday and put it up for sale on my TeePublic site. 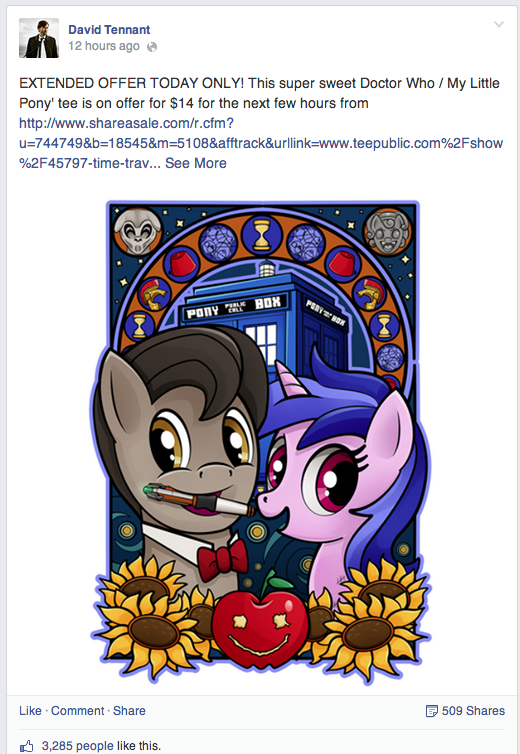 On Saturday the Official David Tennant Facebook site shared my design! As of right now it has over 3,000 likes and 500 shares!!! I cannot believe they shared my little old design. I literally did a spit take and got water on my computer monitor! 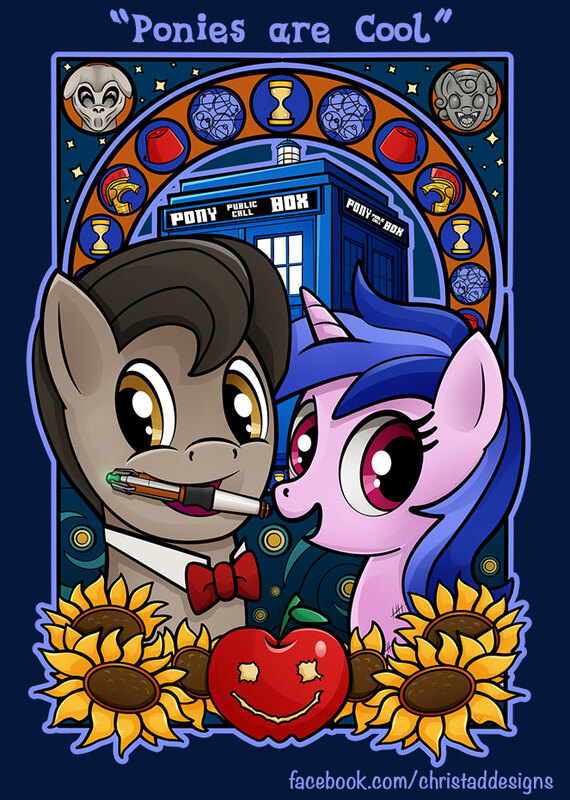 I hope they saw “Bad Timberwolf” too, being that is the David Tennant pony after all, with his Rose. So what an exciting weekend! Something I decided I wanted to draw to get a feel for one character in different poses and a turn around. I think I will do more of these. 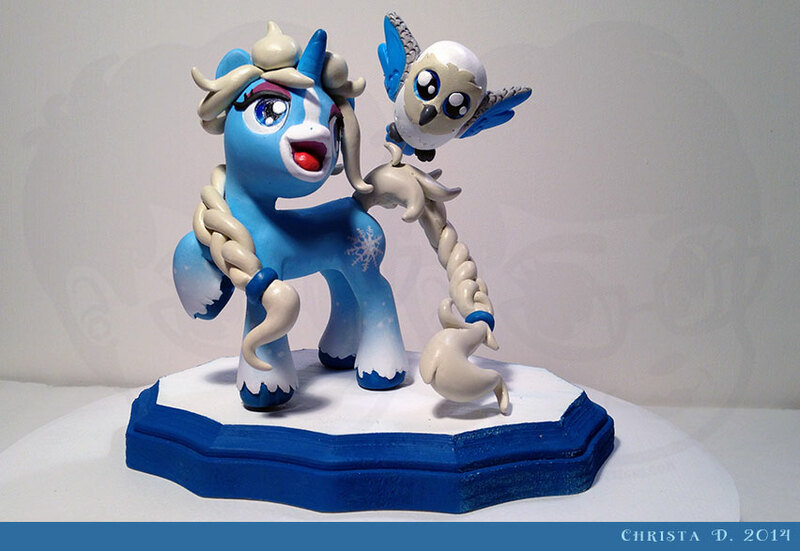 A private commission of an Elsa from Frozen inspired pony with her owl companion. Working on a Marceline from Adventure Time just for kicks as well. “Bad Timberwolf” up for voting on Qwertee! I am so excited that my design “Bad Timberwolf” has been accepted at Qwertee! I’m actually really pleased with the limited color design. I really hope a site does decide to pick it up for a run! I love the Rose storyline in Doctor Who, so when I saw Rose Luck and Doctor Hooves kicking around I KNEW it was up to me to create something for them. After I could breath again of course! Massively inspired by the amazing designs of Megan Lara. Please head over to the site and add a vote! “Bad Timberwolf” up for voting on We Love Fine! I am so excited that my design “Bad Timberwolf” has been accepted in the We Love Fine, My Little Pony design contest! Please head over to the site and give the design a “5” rating! Vote here. Private commission of Twilight Sparkle from “Rainbow Falls” cheering on Rainbow Dash. 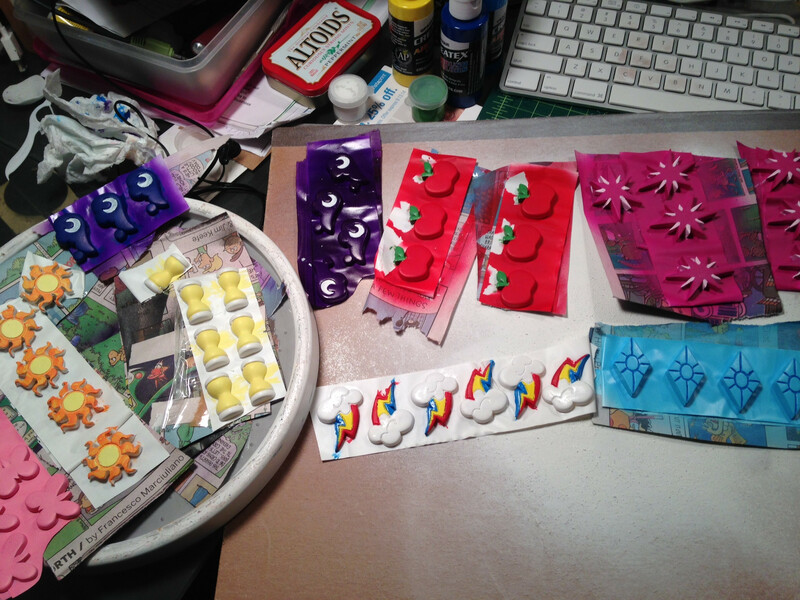 I may need to do a Pinkie Pie too. There wasn’t going to be a way to make her pom pom’s out of clay that would stand up to shipping so after trying out a few things we decided on ribbon. Hand sculpted and painted with Super Sculpey, Sculpey Firm, acrylic paints, matte sealer and Sculpey satin finish. 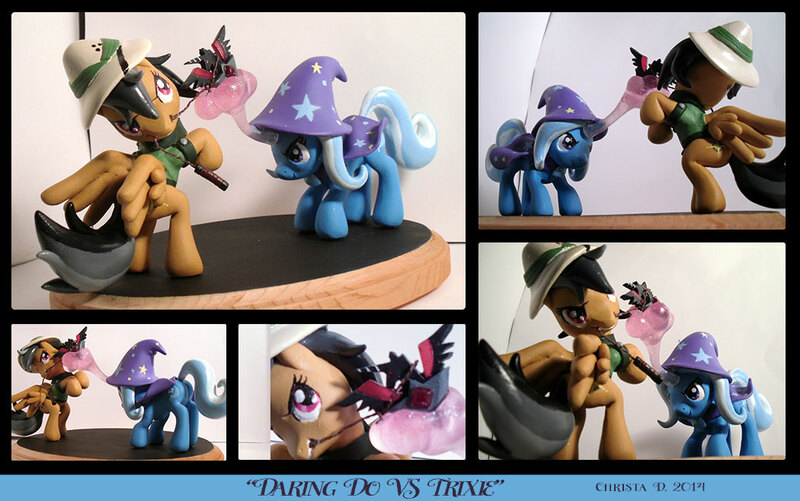 I love this commission I did of Trixie vs Daring Do for the Alicorn amulet. Kind of reminds me of the theme of this year’s Everfree NW. Still waiting to see if I made the cut as a vendor/artist! 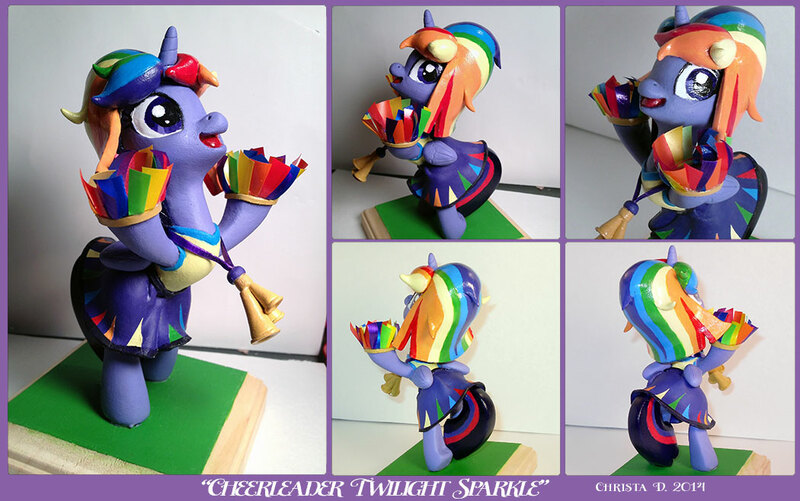 Working on an Elsa inspired OC commission, Twilight Sparkle as a cheerleader and Cheese Sandwich! For those wanting the Doctor Whooves, Sally’s Sewing or any other number of stickers, they’re back in stock in my Storenvy Shop! 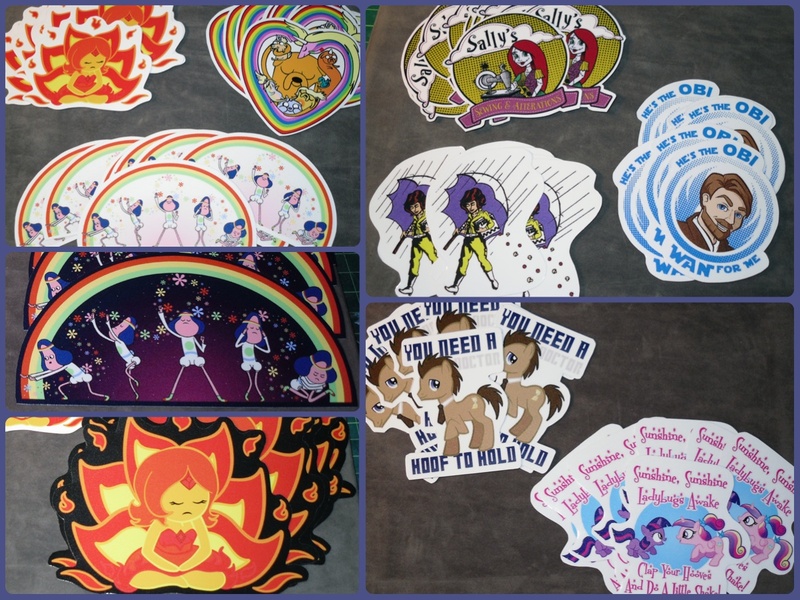 I’ve also included a couple of Adventure Time themed designs that include bumper sticker sized. I’m rocking the Abracadancer sticker on my minivan right now.